These are your ingredients: digital technology, public health, and Hip Hop. Now collide these seemingly disparate disciplines. What do you get? I was unsure of the answer to this question when I entered Mailman in the Fall of 2012, but I knew what I was passionate about, so I plunged into the MPH program with a hunger to learn how I could mix these interests together. I couldn’t have imagined that the combination would lead me to breakdance on stage with Run DMC at the New York Symphony Space and at the White House lawn for two years in a row for their annual Easter Egg Roll. These were amazing and surreal experiences for which I owe everything to Dr. Olajide Williams, Monique Hedmann, and the entire team at Hip Hop Public Health. 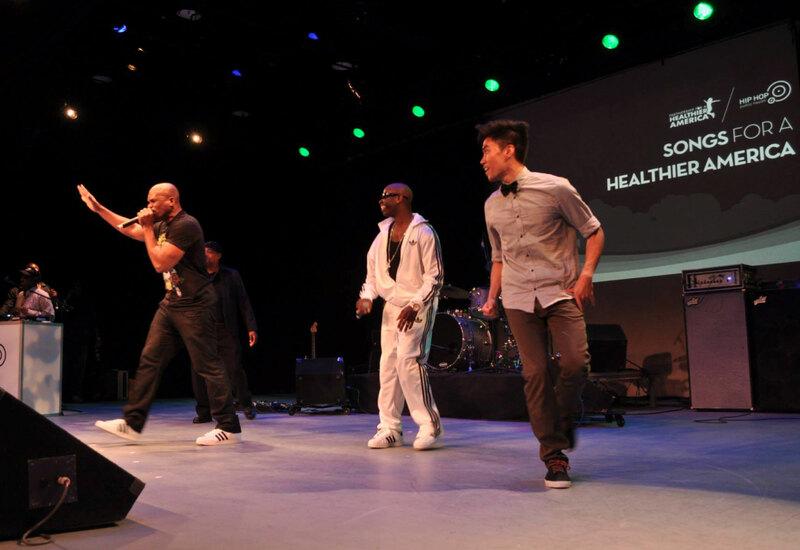 The Hip Hop Public Health Album Launch Party at the New York Symphony Space, 2014. As a nonprofit organization based in New York City, Hip Hop Public Health (HHPH) is dedicated to improving health literacy – and therefore, health outcomes – in underserved communities like Central Harlem. HHPH uses Hip Hop as an expressive medium for education, engagement, and empowerment. It was through the vision of Dr. Olajide Williams, the artistic talent of Easy A.D. Harris and Artie Green, and the execution of the HHPH team that I was able to create, implement, and (will soon) evaluate a breakdancing health education pilot program for 6th graders at Thurgood Marshall Academy, a secondary school in Harlem. Before I go on, let me take a step back. Growing up, I have always had a deep love for art and the science, so much so that I naturally see them as one and the same. While attending Oberlin College for my bachelor’s degree, I had the freedom to develop my passions by pursuing a major in biology and a minor in dance. In addition to providing me with a strong academic foundation, I also consider Oberlin – and the greater Cleveland area – to be my Hip Hop birthplace. I started life as a break-boy during my second year at Oberlin. As I took my baby steps into breaking, something in my body locked into place. I remember thinking to myself, “This is for me. This is me.” In those formative years, I wanted to learn not only the moves, but also the philosophy behind the moves. From that point forward, I absorbed the lifestyle, mentality, and identity around Hip Hop as laid down by DJ Afrika Bambataa and the other Hip Hop pioneers, which cultivates peace, love, unity, and having fun. Carrying these values with me into the ‘real world,’ I honed my b-boy skills with the Cleveland Cavaliers Scream Team, the premier Hip Hop dance team that entertains thousands of Cavs fans at home and away games. It was there that I saw that dedication, hard work, and perseverance are needed to succeed as a professional b-boy. After leaving Cleveland for New York, I had the opportunity to feed my intellectual curiosity by working at an immunology lab by day, b-boying by night, and reading voraciously about the wider worlds of science, politics, economics, and sociology in my free time. What I learned seems obvious to me now, but the extent to which communities flourish depends on interconnections between powerful forces in the private and public sectors that shape institutions like healthcare, the food industry, and the educational system. Addressing these behemoth challenges is not something a single solution — much less a single person — can fix. However, I had some ideas on how to start applying myself as a breakdancing biologist, with goals of learning new skills as a public health practitioner. This brings me full circle to breaking on the White House lawn a few weeks ago. This type of event is only the front-facing aspect of what HHPH has been able to achieve. Through tireless effort, HHPH works with schools and communities in NYC’s boroughs to engage children, families, and the elderly using Hip Hop and multimedia in order to improve the way they eat, exercise, and respond to stroke. 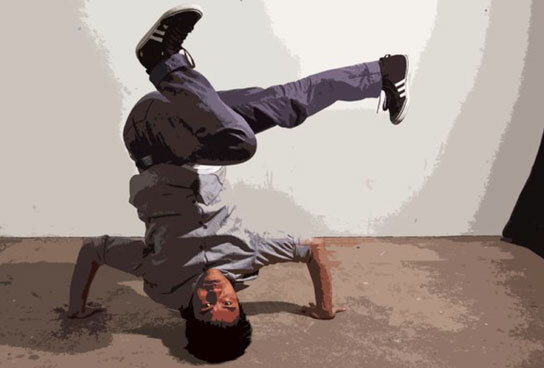 My vision of using breakdancing as a bridge between health knowledge and behavior led me to HHPH, where I have been able to actualize my ideas into a real-world pilot program. With aspirations of starting my own technology company in the sustainable development sector, I have learned about how to build and run an interdisciplinary team of highly talented individuals through the work I’ve done at HHPH. Whatever I do after I graduate, I value the lessons that I learned there because I believe that programs like theirs are the future of innovation for social good.